A wartime Case D tractor fitted with Roadless's DG half track system which gave extra traction in both agricultural and military situations. In the 1970s any farmers wishing extra traction for their tractors started to get a large choice of more affordable machines due to an influx of mainstream European-built tractors that offered a four-wheel-drive option. 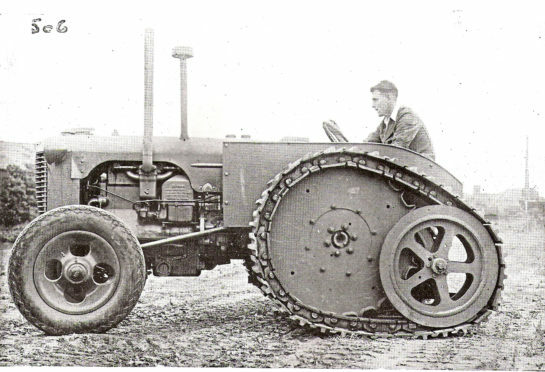 These tractors were built with smaller front-drive wheels as opposed to the large equal sized wheel configuration offered by some of Britain’s conversion specialists. Conversion was the key word – prior to the European invasion of factory-fitted four-wheel-drive tractors, any operator wanting four-wheel drive had to choose between a few British conversion specialists. In the main, these specialists used a Ford skid unit as the base to which they fitted their systems. Roadless’s work also saw them involved with Land Rover as this picture illustrates. The oldest of these British concerns was Roadless, which was founded a century ago. Company founder Phillip Henry Johnson had a very active and energetic mind regarding technology. When rejected by the military due to poor eyesight, he sought passage on a cattle boat to South Africa where the Boer War was raging. He managed to get seconded to the Royal Engineers and put his thinking into improving transportation and getting vehicles to travel in the difficult off-road conditions. Although he married and started a family in South Africa, he returned to the UK in 1915 and was soon involved in the embryonic tank developments going on at this time. How to get a heavy armoured vehicle to travel off road on churned up muddy battlefields was the task with which Johnson was heavily involved. All sorts of designs, arrangements, techniques and materials were selected and/or rejected but Johnson was very clever. He arranged with the British War Office that any of the patents on the designs of the tracks and suspension improvements would remain in the possession of the officers involved in their design. 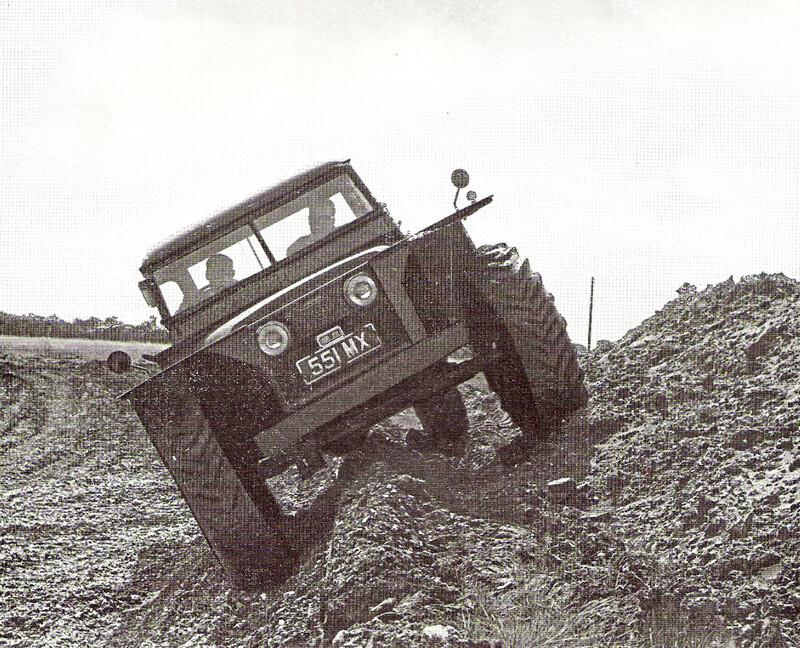 Johnson had developed track suspension systems which allowed the vehicles to manoeuvre and travel much faster without losing drive over rough ground. He also used rubber as a key material. All this work helped Johnson greatly in 1919 when he set up Roadless Traction. 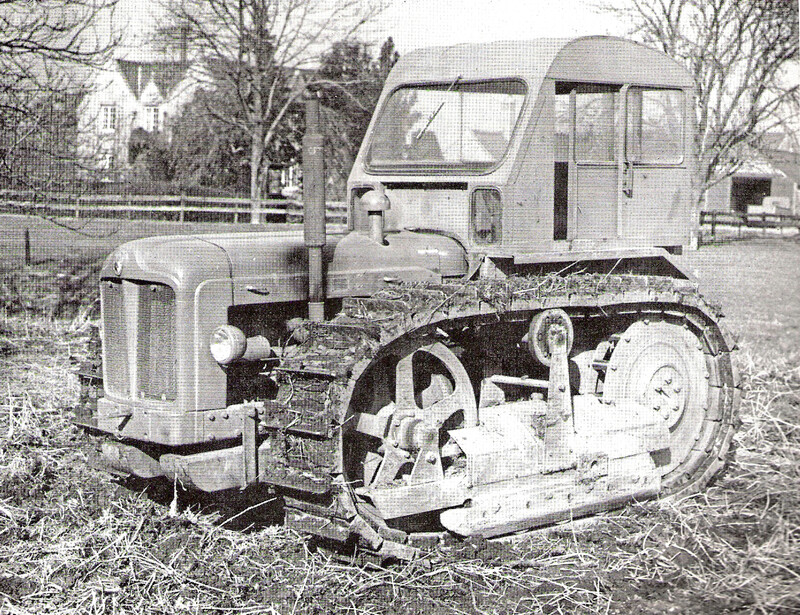 Roadless’s last full track machine was their J17 crawler based on the Fordson Major skid unit. Roadless came up with some very enterprising ideas and its Orolo track system using flexible rubber joints was used in all manner of applications, including animal carts for developing countries and even tracked wheelbarrows. The company also worked on track systems for steam tractors and commercial vehicles. By the 1930s its rubber tracks were used in tractor situations including Ransomes and Bristol horticultural crawlers. They were also used in agricultural tractors fitted with full-length tracks including those built by companies including Rushton, Case, and Fordson. During the wartime ploughing campaign, the company’s DG half-track units were capable of being fitted to nearly all British and US makes. This system was available after the war too, along with full-length systems. By the 1950s, Roadless had taken note of what the Italian concern Selene was doing by fitting ex-US army GMC truck axles to the front of tractors. An arrangement with Selene allowed Roadless to offer its Manuel Roadless front-wheel-drive units on Fordson Majors, eventually leading Roadless to build them under licence at its Hounslow base in Middlesex. Improvements continued and in 1963 the company produced the first tractor to wear a Roadless badge when Fordson Super Majors were branded as the Ploughmaster 6/4. These tractors were painted green and yellow to make them stand out. Roadless reverted back to Fordson blue but painted the bonnets grey for the rest of their production. The firm also did work with International and Land Rover. In 1968 it launched the 115 but this time, to compete with its great rival County, it had equal sized wheels. However, it was the smaller front wheel arrangement that Roadless was famed for and over the years many models were launched with great success. As mainline manufacturers began to tap into increased demand and build their own versions the writing was on the wall for Roadless which went under in 1983 – a victim of its own success.